On Friday, 12 April from 13:00 until 15:00 GMT, Belarus Digest will be broadcasting live a discussion panel “What Do Belarusians Think?” which focuses on the latest results of a national public opinion poll carried out by Belarus’ leading pollsters and analysts. The event is organised by the Eastern European Studies Center (Lithuania) and the Belarus Research Council. It will be possible to follow the event, comment and ask questions on Twitter using the hashtag #Whatbelarusiansthink (for English speakers) and #Чтодумаютбелорусы (for Russian speakers). A video capturing the most interesting moments of the discussion will be available on Belarus Digest one week after the event. Valeria Kostyugova is co-editor of the website “Nashe Mnenie” and head of the Agency of Political Expertise of BISS (Belarusian Institute for Strategic Studies). She is also the editor of the “Belarusian Yearbook” 2008-2010. Prof. Oleg Manaev is a founder of the IISEPS, founding Professor of the Department of Social Communication at Belarus State University (1999-2012), Professor of the Department of Media and Communications at EHU (since October 2012), and former Chairman of the Belarus Soros Foundation (1992-1995). He has published 200 scholarly articles and edited/authored 20 books on issues in the media, public opinion, the political process and civil society development in Belarus. Dzianis Melyantsov had been with the BISS since August 2007. A graduate of the History Department at the Mahilou State University, he pursued Masters' studies at the European Humanities University and the International Relations department at the Belarusian State University. After the forced closure of EHU in Minsk, Dzianis Melyantsou studied at the Institute for International Relations and Political Sciences in Vilnius (Lithuania), where he defended his M.A. thesis in 2006. He currently is working on his PhD dissertation on Belarus-NATO relations. Until October 2009, Dzianis lectured at the European Humanities University in Vilnius. Mr. Melyantsou is a co-founder of the Institute of Political Studies “Political Sphere”. Paulyuk Bykouski is a journalist working for the weekly newspaper “Belorusy i Rynok” where he heads the policy division. He also writes a column Bynet on dw.de. During his 20 years of experience in journalism and has worked with Belarusian, Latvian, Lithuanian, Russian, German and Croatian media outlets. Pavel consults private businesses and NGOs on how to work with the media and other information sources as well as conducts seminars on journalism. Belarus Research Council (BRC) is a loose network of Belarusian polling agencies, think tanks and study centers established in order to increase stakeholder coordination as well as ensure the quality and availability of research results. BRC stakeholders gather twice a year to discuss their achievements, share their research findings and future research plans. So far this has resulted in the most comprehensive and inclusive collection of all research currently contacted by Belarusian independent researchers. BRC also serves as a platform to organize discussions, trainings and seminars for Belarusian analysts and researchers in order to strengthen the public policy capacity in Belarus. BRC is still in the developmental stage and is seeking to expand its activities in the field of research communication, donor coordination and capacity development. The Lukashenka administration has lately reached out to European leaders in a purported attempt to reach common ground. Belarusian Minister of Foreign Affairs Vladimir Makei initiated numerous consultations with European policymakers during the last three months. Makei will also be meeting with his Latvian counterpart, Edgars Rinkēvičs, on 10 April while Deputy Foreign Minister Yelena Kupchina is currently visiting Brussels to explore avenues for a renewed cooperation between the two parties. If Europe is genuine about its desire to see democracy prevail within its direct neighbourhood, however, it should ignore such calculated moves. Cooperation between Brussels and Minsk, which gained momentum after the 2008 Russian-Georgian war, was put on ice after the rigged Presidential elections of 2010 and the subsequent crackdown on opposition protests. Lithuanian Minister of Foreign Affairs Linas Linkevičius recently revealed his discontent when asked about Europe’s quarrel with Belarus. Linkevičius claimed that a renewed dialogue between the two parties would bolster the EU’s influence over Minsk and increase its foothold within Belarusian society. Given the previous ill-fated attempts at reconciliation, however, this argument does not have much credibility. The chief aim of Lukashenka revolves around regime survival. Democratic reforms would critically undermine his position of power, making it equivalent to political suicide. Lukashenka’s recent Western activism demonstrates his wariness to solely rely on Russia. 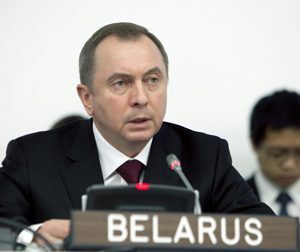 In the face of Russian President Vladimir Putin’s economic aggression, Makei recently stated that the ‘law of the jungle’ applies to Belarusian-Russian relations. The ruling establishment in Minsk realises that a heavy reliance on Moscow will leave them tremendously vulnerable. At the same time, Belarus also presented a report in February which accused EU nations for human rights violations, adding to its ideological tug-of-war with Brussels. This paradoxical contradiction neatly testifies to Lukashenka’s opportunism in the international arena. Lukashenka’s policies closely resemble those of other post-Soviet states and are aimed at strengthening his position of power. He has succeeded in this endeavour by allowing outsiders to pay for his foreign policy decisions. Throughout his 18 years in office, Lukashenka has pragmatically exploited the geopolitical competition between the EU and Russia through utilising the threat of geopolitical reorientation or the promise of political loyalty to extract lucrative rents and ensuring market access. Consequently, the Belarusian political elite for a long time succeeded in preserving economic stability and legitimising its leadership. Cycles of conflict and engagement thus constitute the centre of Belarusian foreign policymaking, rendering democratisation in the context of regime continuity highly unlikely. Another engagement between Brussels and Minsk would merely permit Lukashenka to repeat this political trick. Robert Schuman, a founding father of the EU, envisioned the Union to become a diffuser of democratic liberties to areas such as Eastern Europe, where people lived under the yoke of Soviet communism. Within the European Neighbourhood Policy (ENP), Brussels seeks to promote such common values within its direct neighbourhood. From the outset, the EU has assumed a leading role in supporting transition to democracy on the continent and beyond. Geopolitical considerations, however, seem to have clouded this idea within the Union’s backyard, where its relationship with Belarus remains in a state of flux. While couched in notions of democracy, the Lithuanian position seems to be primarily driven by geopolitical concerns. Various states within the Union’s eastern areas still hold a deeply embedded suspicion toward Russia’s regional ambitions. This has led some analysts to assume that Belarus could act as a strategic buffer against Russian political interventionism. This argument, however, is difficult to believe. Lukashenka only serves his own interests and can therefore never be expected to boldly stand up against his biggest sponsor. His opportunism does not allow him to consistently choose one side. The EU seems caught between two ideas. On the one hand, some European leaders are making their bets on a potential downfall of Lukashenka through advocating regime isolation and stirring up internal resistance. On the other, there are those who keep a watchful eye on Russia and call for a reengagement with Minsk. Indeed, opposition candidates lack the basic skills of politics and public policymaking. However, the president and his bureaucracy do not act as separate entities, making cooperation with Belarusian officials a delicate venture. Still, some commentators argue that European politicians have not offered Minsk a convincing deal that could seriously change the situation. After all, Belarus needs to offset the potential loss of substantive Russian subsidies in the aftermath of a termination of the existing mode of relations with the Kremlin. They contend that Brussels fails to appreciate the basics of the Belarusian political economy, refusing to seriously invest in modernising public administration and economic institutions. Yet, such a policy could counterproductively enhance Lukashenka’s internal power through boosting his government’s capacity and allowing his geopolitical entrepreneurship to continue. First and foremost, Brussels should drop the geopolitics and instead focus on how it could seriously support democratic movements and civil society from within the country. The EU could, for example, waive visa fees for Belarusian visitors. This would foster interaction at all levels. 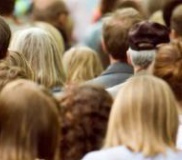 The immediate post-2010 support provided to Belarusian human rights organisations and independent media yielded positive results. However, these efforts have not been accompanied by a long-term commitment. Brussels should therefore establish durable assistance programmes with civil society actors and broaden its scope to include other sectors as well. There is no point in reengaging with the Belarusian regime. Lukashenka has never approached negotiations sincerely and does not even think in the same sort of terms as Brussels does. The EU will never be able to persuade Lukashenka to dump his old-time Russian ally and give up his long-term political strategy. It would be utterly naïve to think that Lukashenka will mend his ways, or share power, or somehow transform into a democrat. In all fairness, however, urgent matters such as the intra-Union state of emergency and the implications of the Arab Awakening seem to trump the issue of Belarusian authoritarianism. With the financial debt crisis currently rocking the EU’s foundations, Syria at the verge of implosion, and the continuing political volatility within the Middle East and North Africa, European leaders have more than enough to deal with at the moment. Apart from its convenient transit location between Russia and the West, Belarus remains a small post-Soviet state which lacks any major asset like oil or gas, and which does not constitute an immediate threat to other countries in the area. That said, if Europe is still sincere about its intention to spread democracy as projected by Schuman, it should reject internal proposals for a mending of fences for the time being. Another rapprochement would merely enhance Lukashenka’s grip on power and dampen the prospects for a democratic transition. Jort is a freelance policy analyst based in Amsterdam.